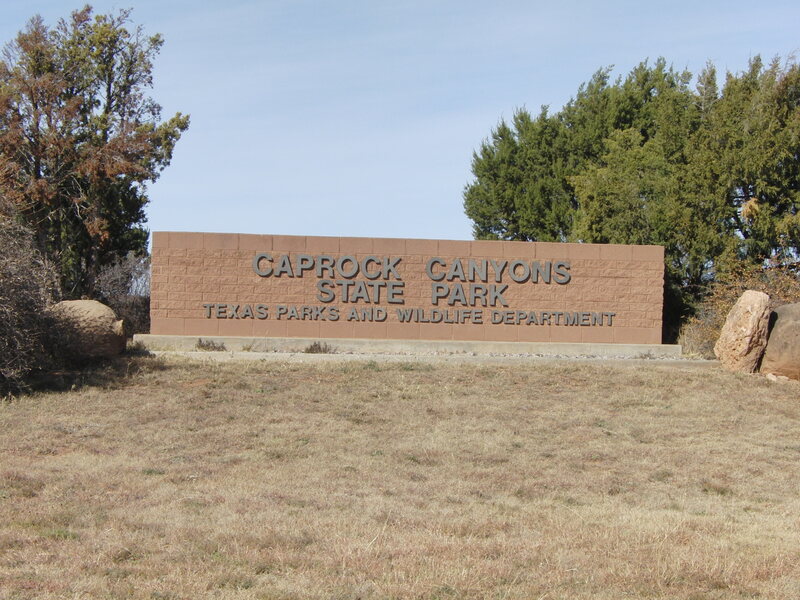 If you are looking for the amazing, rugged and wild Texas that defines our state, then you must visit Caprock Canyon State Park and Trailway. No where else in the state can you drive through or watch a free roaming herd of bison. So named for the caprocks, geologic features where a harder rock is sitting above a softer layer, which is eroding more quickly. 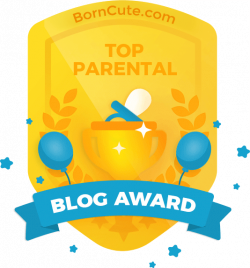 Check out My Mommy Tips for making the most of your visit to this incredible place! Cultures in conflict… A step back to a difficult time in history. A Texas Archeology Awareness Month presentation. Cultures in conflict describes it perfectly but still doesn’t give this difficult time in history justice. Learn about the struggle, the differing ideologies, and the story that the Red River War holds for those who will truly listen. This presentation is a means to honor, educate, and inspire others to appreciate and preserve our unique history and archeological sites in Texas. For more information and other upcoming events, click HERE. There is basic shopping in the town of Quitaque, but nothing else, so come prepared with everything you need. Fill up your gas tank, too. 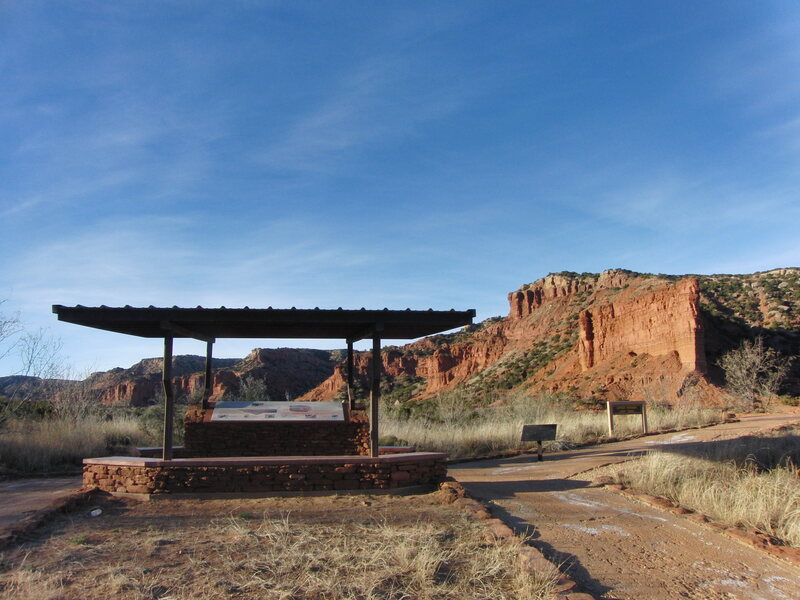 Camping at Caprock Canyons SP is easy, but getting a reservation is a little harder. With under 40 water and electric sites, they go quickly, especially on holidays and weekends, so make your plans early! 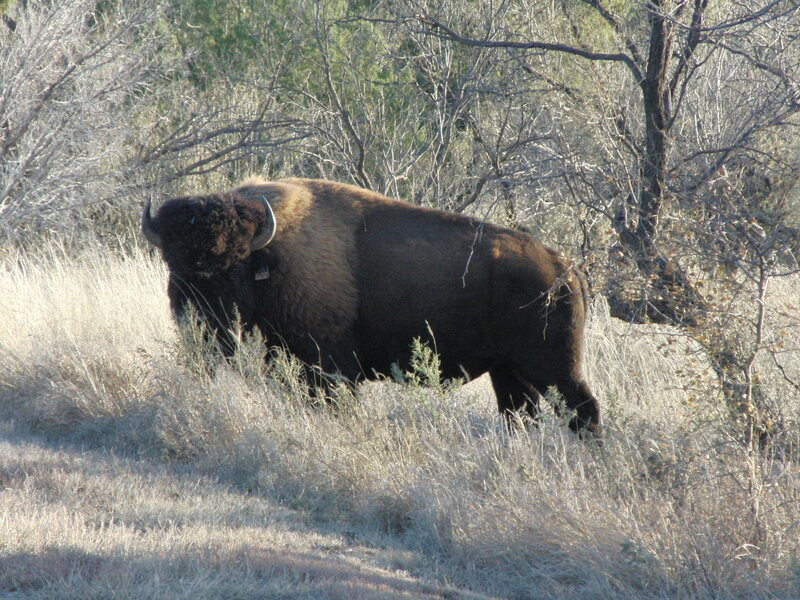 The Honey Flat area has a nearby playground, prairie dog town and offers one of the best chances for seeing the bison. 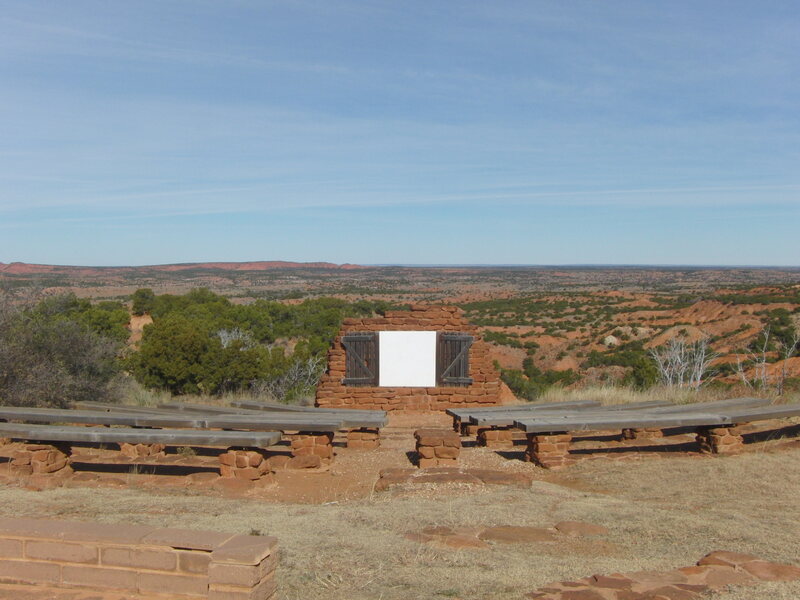 There are many more primitive and hike-in camp sites, with some amazing views! 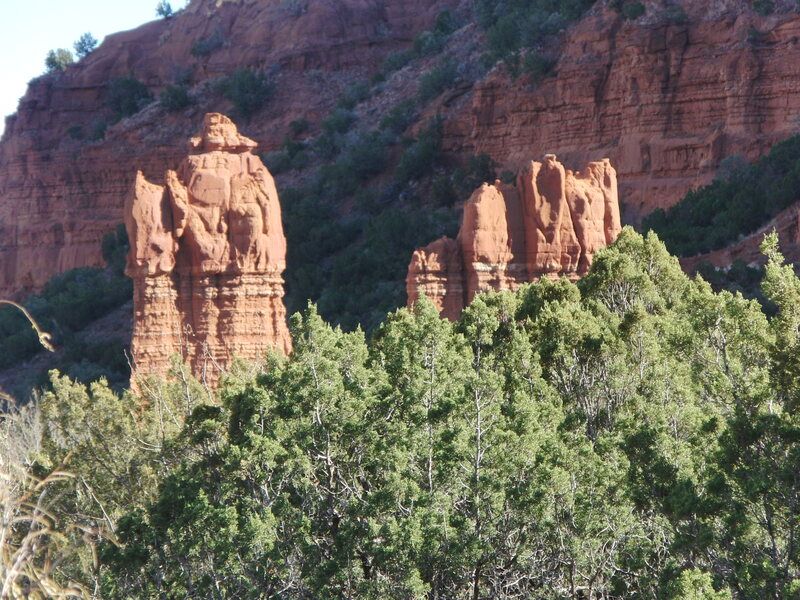 Upper Canyon Trail is a great trail during high winds since the canyon walls are shielding you. Check the websites events page for upcoming events. The park offers excellent dark skies for star parties. The small lake, made much smaller due to the drought, offers a good place to see animals coming for a drink. The lake has been stocked with trout in the winter and saugeye, which would be a fun fish to try to catch! There is a boat ramp, although the water level was too low. You could carry a kayak or canoe down, however. There is also swim beach. In the 1970’s a Folsom (Paleo-Indian Culture of 10,000 years ago) camp was found along the shore of Lake Theo, with numerous Pleistocene age bison bones and Folsom points (stone spearheads, larger than arrowheads). Click HERE for more information on the Folsom Lake Theo Site. Among the 15,000 acres of the park live some 80 genetically pure bison roaming free. The term “genetically pure” indicates that they haven’t been bred with cattle, as many are. The bison can be seen standing in or near the road. They enjoy rolling in the soft sand of the prairie dog town, and it’s quite a thrill to view one doing it! If you come upon a bison, keep your distance. Keep your eyes open, my son spotted this porcupine sleeping in a tree near Lake Theo. 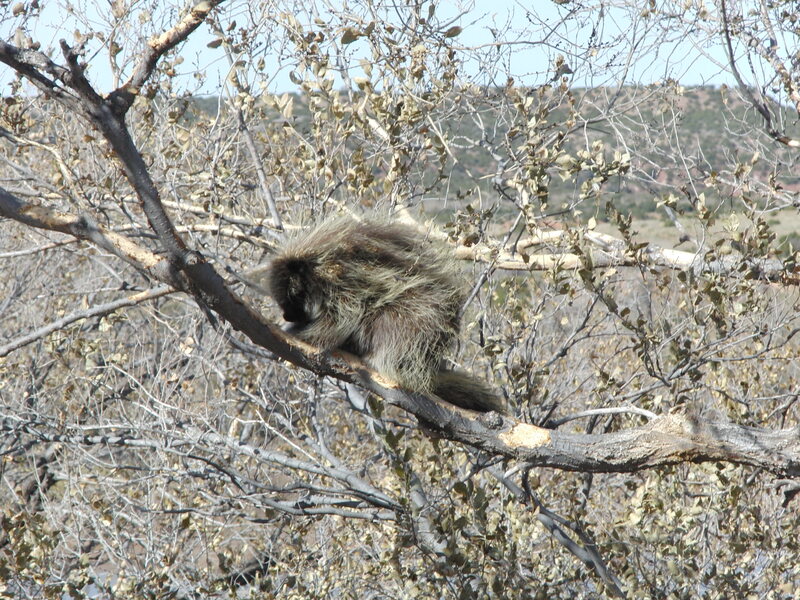 Porcupines are nocturnal, as well as arboreal. This was a thrill, as it was my first time to see one in the wild! 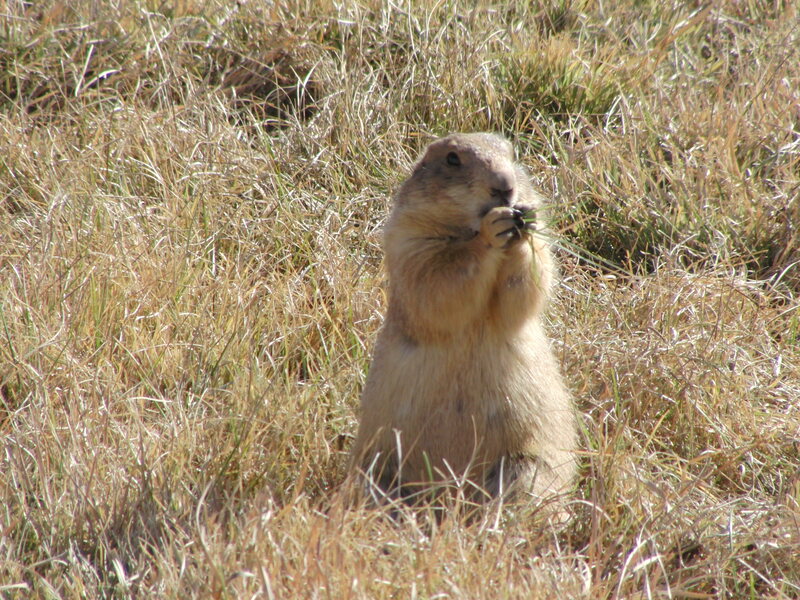 Located near the Honey Flat Camping Area is a large prairie dog town. We enjoyed watching them and listening as they barked their warnings to one another! A multi-use 64 mile Rails to Trails Trailway. Rails to Trails is a movement to “transform unused railroad corridors into hiking, biking and equestrian trails. About half of the trailway is unmaintained, and not recommended for biking. If you choose to try, take puncture proof tires. The Clarity Tunnel is the home to some half million Mexican Free-tailed bats during the summer, and it’s an amazing site to see them emerge at dusk. CCSP offers park ranger guided tours to the tunnel. Quitaque Riding Stables offers horse trail rides in the park. They do not have a stable in the park, and will bring the horses out to you, but need a days notice. Click HERE for more information.